For long liner, Drift nets fishing vessels, using radio buoy system is effective way to detect the net's position. By connecting radio buoy, TB-558 and TB-308, and a fishing gear, such as long liner and raft with a glass ball, the radio buoy transmits its signal to the fishing vessels. 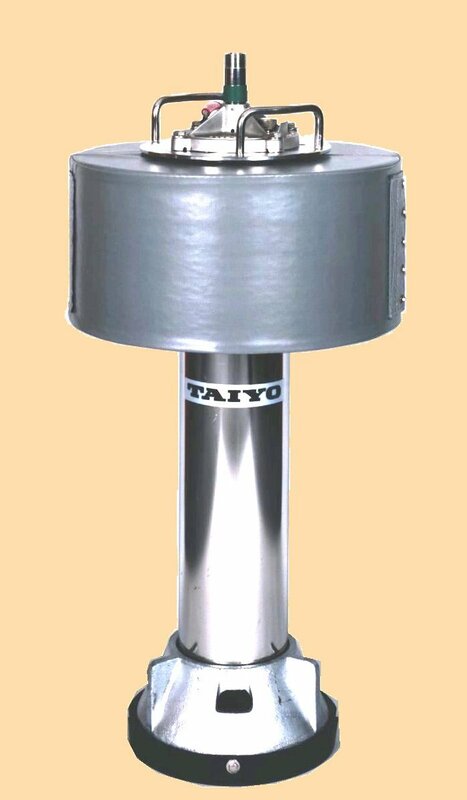 Direction finder, TD-C358, TD-A157 and TD-L2200, can detect the buoy position by homing method and display buoys' direction. With sele-call radio buoy, TB-558S and TB-308S it is much cost effective and avoid own nets or line are caught by other fishing vessels. The sele-call buoys transmits its answer signal only when they receive calling signal from mother vessels. 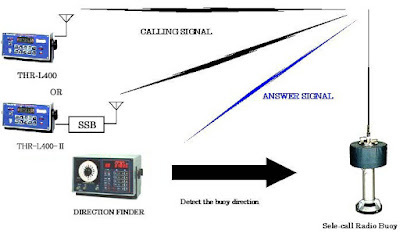 Calling signal is decided for each sele-call radio buoy and the signal itself is generated by calling signal generator, such as model, TR-L371/371A and new model THR-L400/400-II. THR-L400 can generate calling signal and this model has built-in transmitter, this model can transmit calling signal to call sele-call radio buoy without other external transmitter, such as SSB. In case of using THR-L400-II, by connecting an external transmitter, calling signal is generated by THR-L400-II and transmitted through the external transmitter. When sele-call radio buoy receive its own calling signal, it starts to transmit answer signal to inform mother vessel from which direction answer signal is transmitted. Then, to detect which direction sele-call radio buoy is flowing, direction finder, such as TD-C358, and TD-A157, is used. 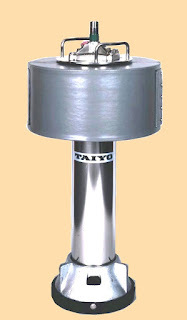 Direction finder, detects the buoy's direction and fishing will be completed successfully. New model, Hybrid Direction Finder, TD-L101 can call sele-call radio buoy and detect the buoy position by its all in one main unit. More informations i will post as soon as I will have prepared. Waiting for and responding to the selcall is better than the current crude approach of transmitting a chirpy carrier and owner-defined CW ID on a regular cycle. I hope 'someone' takes the next step of regulating their IDs and licensing them so problematic ones and their users can be traced.